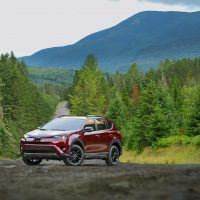 Toyota wants to capture the outdoor enthusiast market and the new RAV4 Adventure is for those wanting to get away from the city. 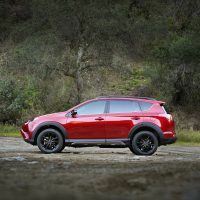 This new RAV4 looks the part, but is it ready to tackle serious off-road trails? Or perhaps those unexpected winter snowstorms? 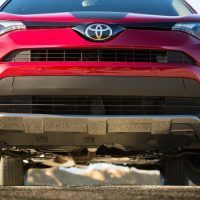 We wanted to find out, so this week we drove the 2018 Toyota RAV4 Adventure with all-wheel drive. 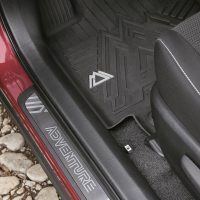 Toyota’s RAV4 gets a special-edition trim called the Adventure. 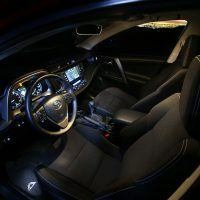 It features a tow prep package, a higher ride height, 18-inch alloy wheels, lower body guards, black headlight bezels, and fog light surrounds. 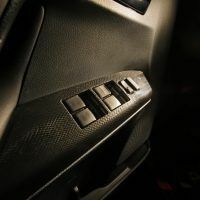 A 120V power outlet in the cargo area, all-weather floor mats, special interior trim panels, and a leather-wrapped shift knob are also included. 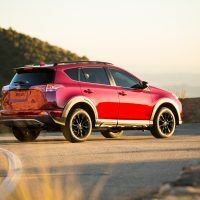 The main differences between the standard RAV4 and the Adventure trim are the tow prep package, household-style power outlet in the cargo area, and lower body cladding. 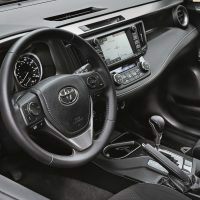 The 2018 Toyota RAV4 Adventure AWD ($28,400), in addition to the Adventure upgrades, comes standard with Bluetooth connectivity, Toyota’s Entune infotainment system with a 6.1-inch touchscreen, a power/tilt sliding sunroof, 60/40 split-folding reclining rear seats, LED headlights, a 4.2-inch multi-information display in between the gauges, and cloth upholstery. 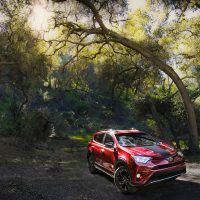 Every RAV4 comes with a rearview camera and Toyota Safety Sense P, which consists of a pre-collision system with pedestrian detection, lane departure warning, lane keep assist, automatic high beams, and adaptive cruise control. Additional options for our 2018 RAV4 tester included the Cold Weather Package ($1,060), offering a heated leather steering wheel, heated and power operated front seats, and windshield wiper deicer. Total MSRP including destination: $30,980. The interior of the RAV4 Adventure is set up with outdoor enthusiasts in mind with its cloth interior and all-weather floor mats. It has a fair amount of harder plastic surfaces too, making it easier to clean after a day in the high country. There’s seating for four adults with its two rows with comfy reclining seats in the back. We took advantage of the Cold Weather package this week as an Arctic blast hit the Denver area. We cranked up the heated front seats and heated steering wheel, and used the windshield de-icer when the CDOT trucks sprayed Mag Chloride all over the interstate to keep it clear of ice. The Adventure trim also features a handy 120V outlet in the cargo area, making it ideal for a power cooler to keep your food and beverages cold on those excursions away from the city. Where the RAV4 really shines is in the cargo area. Cargo space is massive with 38.4 cubic feet behind the split-folding rear seats and 73.4 cubic feet behind the front seats with the rear seats folded flat. It’s ideal for carrying your camping, hiking, and fishing gear. 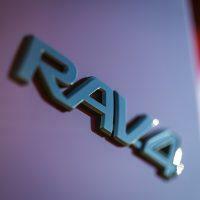 All RAV4s are powered by a 2.5-liter four-cylinder engine rated at 176 horsepower and 172 lb-ft. of torque. 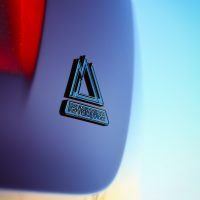 The inline-4 comes mated exclusively to a six-speed automatic transmission. EPA fuel mileage estimates come in at 22/28 city/highway and 25 combined mpg. 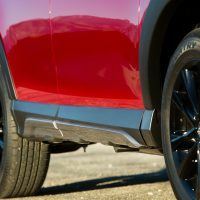 This 176 horsepower small SUV has no trouble cruising down the highway or navigating city streets, but we found it needing a bit more power for Colorado’s high altitudes. If it’s loaded with people and cargo heading up the mountain pass for a fun getaway, it might struggle. The 2.5-liter four-cylinder and six-speed automatic is the only powertrain available. 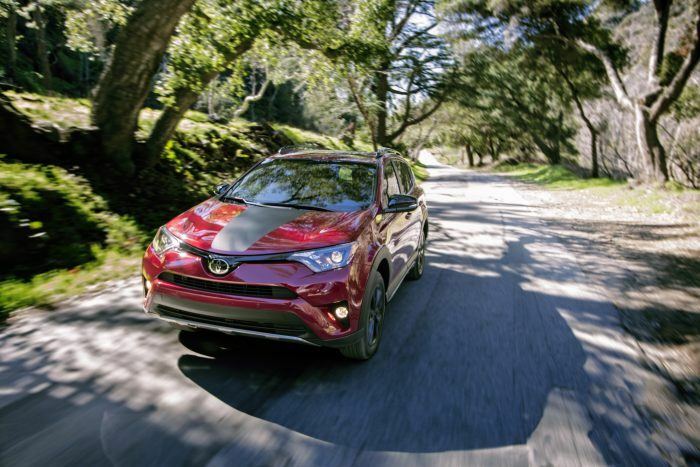 Toyota says in the Adventure trim, the small SUV has enough grunt to pull up to 3,500 lbs. Our tester came with mud and snow tires which made it ideal for getting through the wet snow that fell this week. We had no trouble getting onto the snow-covered dirt roads leading to our house. 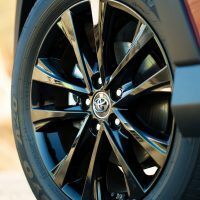 Other than the mud guards, body cladding, and slightly higher ride height, the RAV4 Adventure gets the same all-wheel drive system as the standard model. 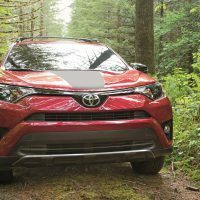 For more serious off-road excursions, the RAV4 Adventure looks the part, but lacks the hardware to get you too far away from civilization. For a weekend getaway vehicle, however, it will accomplish what you need. 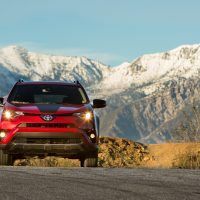 The 2018 Toyota RAV4 Adventure offers lots of room for passengers and cargo. It makes for an excellent family hauler as well, with excellent safety credentials. 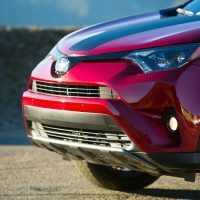 It offers Toyota’s well-established reputation for reliability, and it is a practical and appealing choice for families or adults with an active lifestyle. 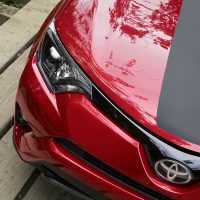 2018 Toyota RAV4 Official Site.
. If you’re going to sell your car or to buy a used car I hope it’ll help you too. You should enter the VIN number of the car and you’ll be able to know every little detail about it like, its mileage, operational history, whether it’s in a databases of stolen cars etc.